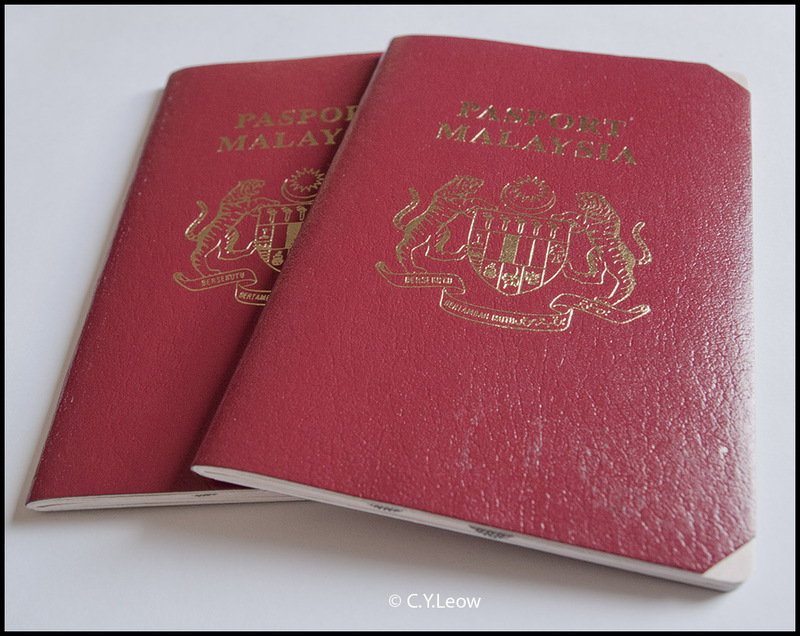 Man Behind Lens: 3½ Months To Renew M'sian Passport In NZ! 3½ Months To Renew M'sian Passport In NZ! Last week, after waiting for THREE AND HALF MONTHS we FINALLY got our "renew" Malaysian passports! My Kiwi colleague was amused and asked if Malaysia belongs to a THIRD WORLD country! I remember FIVE years ago, we went through the same angst! Five years ago I complained to Jeff Ooi and he blogged my pain in his Screen Shot's "Wisma Putra Blues" entry. "Citizen CY Leow, who has been residing in Kiwiland as a Permanent Resident in order to school his two daughters, never realised renewing his Malaysian passport at the Wellington Malaysian High Commission in the New Zealand capital can be so 'third world'. He shares his bitter experience. About time someone brought this up!" said Jeff and that was five years ago! Five years ago we were told by the "passport lady" that our renewal "might take longer" because "we missed the diplomatic bag". When asked, she said that they only send their "BAG" once a month! Five years later, we were not told "we missed the bag" BUT it still took ONE HUNDRED AND FIVE days to get our passports! Five years ago, when asked again why it take so long, the passport lady said KL are SHORT-HANDED in processing passport renewal! Five years later, I suppose they are still short handed? The old (right) and the new Malaysian passport. Notice the symbol for biometric passports on the cover of the newer passport. Malaysia was the first country in the world to issue biometric passports in 1998, after a local company, IRIS Corporation, developed the technology. Malaysia is however not a member of the Visa Waiver Program (VWP) and its biometric passport does not conform to the same standards as the VWP biometric document because the Malaysian biometric passport was issued ahead of the VWP requirement. The difference lies in the storage of fingerprint template instead of fingerprint image in the chip, the rest of the technologies are the same. Also the biometric passport was designed to be read only if the receiving country has the authorization from the Malaysian Immigration Department. The biometric data included on the Malaysian passport is a digital photograph of the bearer's face, and images of their two thumbprints. Malaysian immigration checkpoints were the only ones with the technology to read and authenticate the data from the RFID chip using a fingerprint scanner and facial recognition technology, but widespread adoption of ePassport technology around the world has seen the technology installed in international airports in the USA, the UK and other countries. In addition to biometric data and the personal information stored on the information page, the chip also records the bearer's travel history of the last ten entry and exits at Malaysia border control points. Concern about possible "cloning" of the data from the passport chip for the purposes of identity theft prompted IRIS to issue a press release in 2006, stating that the chip and data had never been successfully cloned, and that digital keys stored on each chip made such duplication and forgery impossible. On February 2, 2010, Malaysia started issuing ICAO compliant e-Passport, valid for five years or two years, replacing the current one. It is the 75th nation in the world to adopt the ICAO standard. 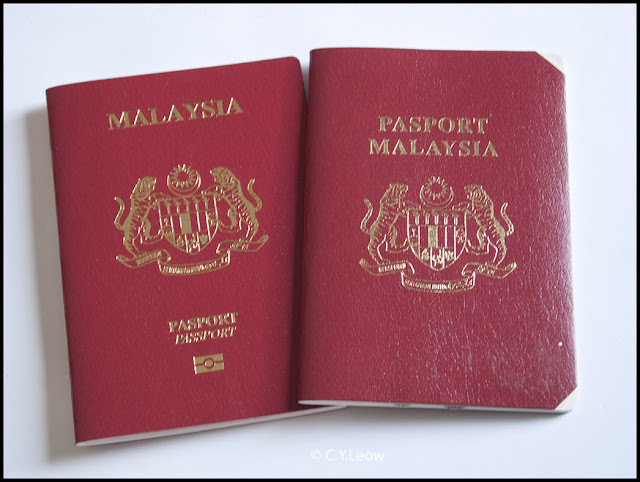 The implementation of the new passport begins at offices across Klang Valley, Johor and Pahang before expanding nationwide between March and May 2010 and to foreign mission abroad between July and August 2010. All that high tech implementations, how about speeding up a low tech procedures and make passport renewal faster? Why not change to NZ Passport? You should be wealthy enough to go back to M'sia in a day to get the pasport done in an hour! Why not try that method? Judging from the time of your comment you must be a WEALTHY person in Malaysia! Why should I spend that kind of money and endure more than 12 hours of flight to renew my passport when the hi-com here shake legs? Malaysian is the only country IN THE WORLD that take that long to renew their citizen's passport while oversea! So much for all the EFFICIENCY CRAP the government trying to brag! If you really love your country then dont try to tarnish the image.Biasa lah manusia bekerja ada yg lambat ada yg cepat.Tak puas hati kalu,,drop your Malaysian citizenship and adopt kiwiship (itupun kalu NZ mahu terima kamu lah) I have been for 10 year in NZ, love this adopted country and respect it and at the same time Respect my Malaysia homeland. Learn the word RESPECT first before comment anything like this.Kalau mahu cepat fly over atau direct apply to Malaysian Immigration Putrajaya. This is not about 'tarnishing your own country' or 'taking up NZ citizenship'. This is about how INEFFICIENT it is to renew a passportin NZ!!! Boleh faham? RESPECT is a common courtesy, DISRESPECT is a result of ones less than adequate actions. In this case I have to say the Malaysian embassy in Wellington's performance is 'terlampau lambat' and thus *ahem* i do not respect them. Working and living in NZ and not even wanting to return to complete passport renewal/visit family and friends, a citizen does not contribute a single sen to Malaysia economy. It is only right for any government to give priority to those who do. Whoever you are, typical hiding behind Anonymous as usual; we DO go back and visits our relatives and friends but we cannot time it in such a way that our passports are going to expired. That is what the Embassy is for, for your info we PAY our passport fees in NZD instead of Ringgit for renewer. Stop shooting off your mouth! Duh! renewed my passport once oversea. in London. Good thing they have same day collection policy. Else, I need to wait 1-3 months if I send my passport to Frankfurt for renewal. Good thing they have Ryanair. hi, i came across your blog and am about to be in the same situation to renew my passport! i have an NZ resident visa but my passport is expiring in October. I was told I need to renew it and then transfer my visa in the new passport. Do you know if its possible to renew my passport while I'm in Malaysia, and return to NZ without the resident visa in the new passport? But show them my old one? I tried asking the immigration ppl but they don't seem to know! thanks for your help! Immigration NZ Singapore branch not NZ High Commission or Embassy in KL - a new PR sticker or label as Immigration NZ calls it has to be obtained for the new Malaysian Passport at the Singapore Immigration NZ before re-entry to NZ. On the other hand I have heard of a friend who re-entered NZ without transferring his PR label onto his new Malaysian Passport with only very little inconvenience, a telling off and an explanation. 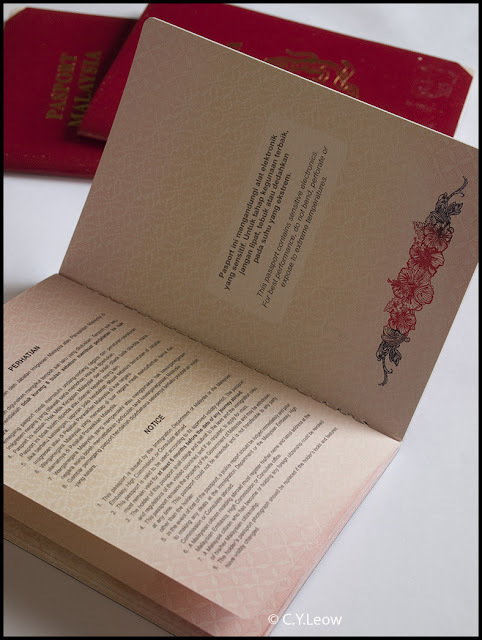 But yeah, safer to have the PR label put onto the new Malaysian passport before re-entry to NZ. It is absolute ok to renew you passport in Malaysia and return to NZ with new passport without visa sticker. You don't need to go to NZ embassy to get new visa sticker prior to your return. when you return to NZ, make sure you bring along your old passport (with resident visa sticker on it). Show both passport to immigration officer when you enter. In fact I have done this twice in last 7 years. Whoever you are, THANKS for that information! It is very helpful for Malaysians who can go home for a visit and renew their passport at the same time! I did just that this month - renewed my passport in Ipoh which only took less than an hour, by very courteous and efficient staff, a huge improvement. The NZ High Comm in Singapore has stopped the transfer of label service and passports have to be sent to Bangkok which will take 7 working days to process. (I was in Singapore to do just this). The panic sets in when I contacted the Immigration Department here and they highly insist that I should have the label in my new passport or risk refusal of entry upon return because of no outward air ticket (entering as a visitor because of no new resident visa label in my new passport!!!) I took the risk, went through immigration and presented both my old and new passports and it was a breeze! The length of time, hassle and inefficiency of the Malaysia High Comm in NZ presents, I highly recommend it done in Malaysia. Thanks for that information, I am sure it will be very useful to Malaysians in NZ! If your passport have less than 6 months left, you cannot travel. Are you sure you can renew on line? Where are you in NZ? How long does it take to renew a passport from NZ embassy Please? Miss Fizzie, What kind of passport are you trying to renew? Malaysian or Kiwi? Hi Anonymous, First of all please sign off your comment with a name. Your question is confusing, how can your passport expire in Jan 2017? If so, by now, it has expired! How can you enter Malaysia with an expired passport? I take it then your passport actually expire in Jan 2018, if that is the case, you can come back in June with your OLD passport and show your PR sticker when you enter NZ, who told you you cannot enter NZ like so? NOT TRUE. They will tell you to transfer your PR to your new passport, they can't send you out of the country! Renewing Malaysian passport in NZ is very expensive, if you pay RM350 back home, you will have to pay NZ$350 here! The exact amount I can't tell you because we pay a senior rate which i very much lower.